People do get on the 292 from Moat Mount public space - how else would they reach it without a car? 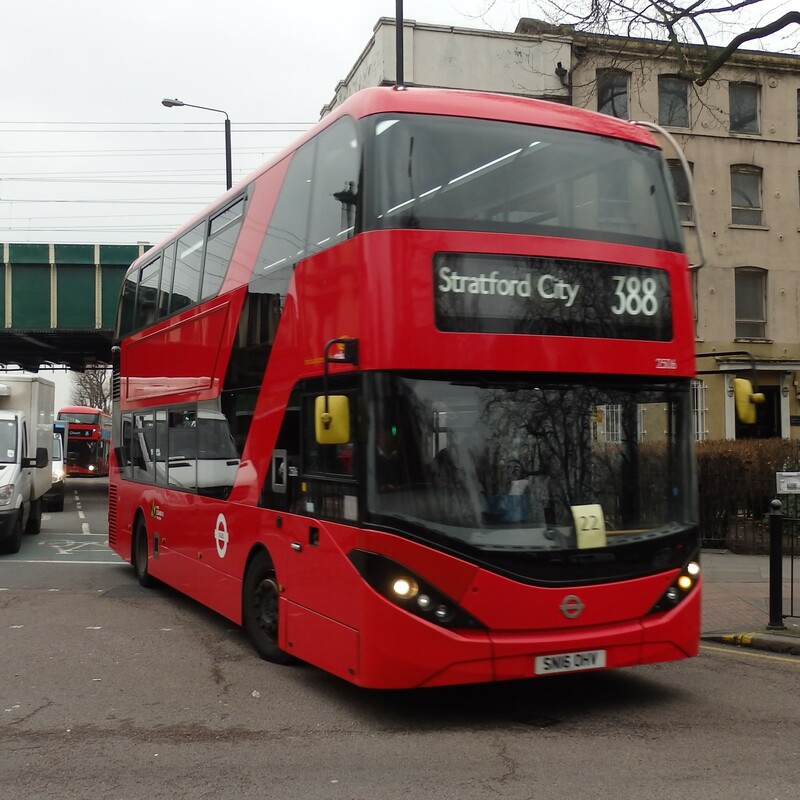 Not entirely pointless; I've seen people board N9s there on several occasions. Usually on the first couple of trips of the night towards Aldwych. If that stop wasn't there they'd have much further to walk. I see your point for the southbound stop, however I am talking about the northbound stop, which you can't actually access from the open space unless you were to cross 6 lanes of dual carriageway! Graham Hall Coachworks on route 246 - probably the most rural stop I have ever come across. There are literally just two bus stop flags stuck in the grass verge on either side, with nothing but green fields in sight. I am confused as to how one even accesses such a stop! Of course, in the days of graduated fares, stops like this were not "pointless" for the operators - as they could insert more fare stages, and thus increase the fares! I personally think that K5 shouldn’t stop at Kingsmeadow. 1. It is dangerous for drivers to actually know if they need to stop or not, as they need to be in the far right lane on Kingston Road to turn right into King Henry Road. 2. If the bus does need to stop, then the bus is cutting through 2 lanes of traffic to get to King Henry Road. 3. If anything, it would be better if it was moved back 50m then it wouldn’t be such a bad stop for the 131 and the K5, and it would spread the distance out between Waters Road and where the current stop is. When you wait 20 minutes for one bus and 3 turn up at the same time.